Hand made in England, these button-back benches are a modern twist on those found in a stuffy gentleman’s club. The ‘Miss Chester’ collection ignores classic conventions and takes a step or two further into modern design. The dimensions of each piece vary in height and length and are available in various colours and materials. These are definitely a conversion piece, whether solo or in groups, being extremely versatile and adding refinement to any room. 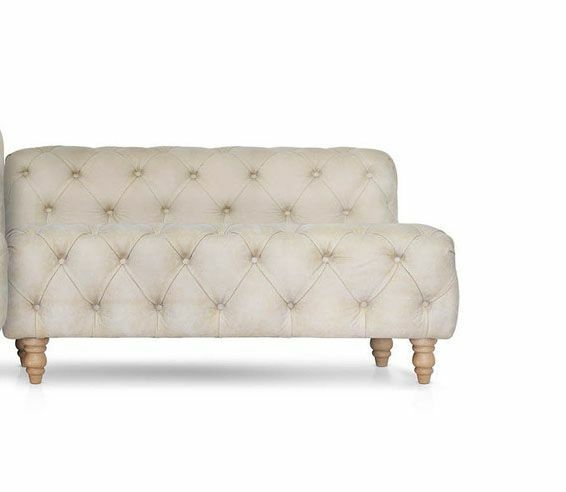 You can also personalise the colour of the Miss Chester legs to create your dream seating.